Good morning. It's Thursday, Dec. 6. • California requires that all new homes have solar. • Malibu residents lash out over fire response. • And the surprise reincarnation of Owens Lake. A crew installed solar panels on a home in Glendale. 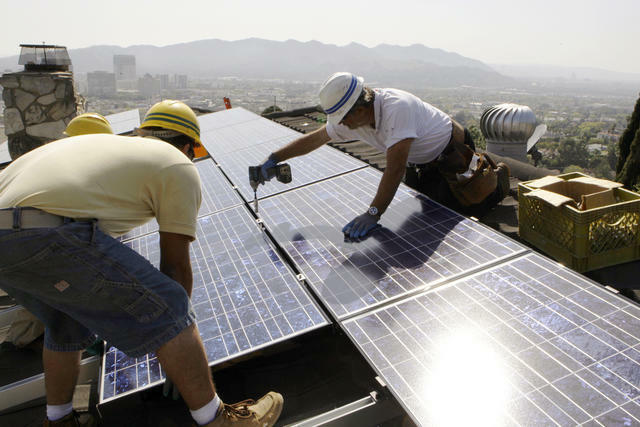 On Wednesday, California became the first state to require that new homes be solar-powered. Regulators portrayed the new code as a "historic" move away from fossil fuels. Opponents cited added costs — an estimated $8,400 for a single-family home — as the state grapples with a housing crisis. Lower energy bills would help offset the expense. Sen. Kamala Harris is eyeballing a White House run. A top aide to Sen. Kamala Harris quit after the Sacramento Bee asked about a $400,000 harassment settlement resulting from his time working for Harris at the California Department of Justice. Among the allegations he faced: forcing an assistant to crawl under his desk to change printer paper. 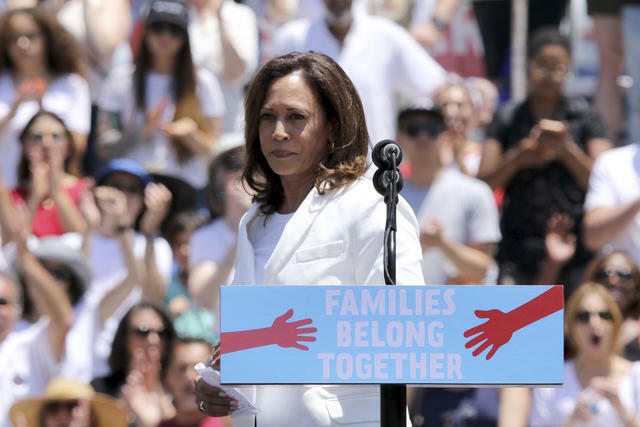 Harris has said she plans to decide over the holidays whether to run for president. Community college could soon be free for all in California. This year, Gov. Jerry Brown signed a law waiving the first year of community college tuition. A new bill would add a second year, enough time to earn an associate's degree. The churning fire tornado killed a firefighter. The S.F. Chronicle did a gripping reconstruction of the deadly — and extremely rare — fire tornado that stormed Redding during the Carr fire last July. It reached 2,700 degrees and swirled for 150 hellish minutes. 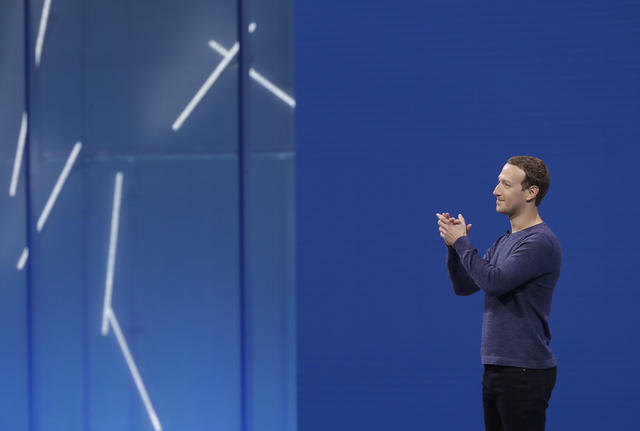 Documents showed how Mark Zuckerberg and other executives treat data as Facebook’s most valuable resource. Facebook has branded itself as a do-gooder. But newly released internal emails have been a stark reminder that the Menlo Park company behaves like any other profit-seeking behemoth, undermining their competitors and obscuring their collection of user data. Another takeaway: You are Facebook’s product. How bad is Bay Area traffic? So bad that agencies across the region are now pushing to allow buses to drive on freeway shoulders in a bid to make use of every square inch of unused concrete. Statewide legislation is in the works. 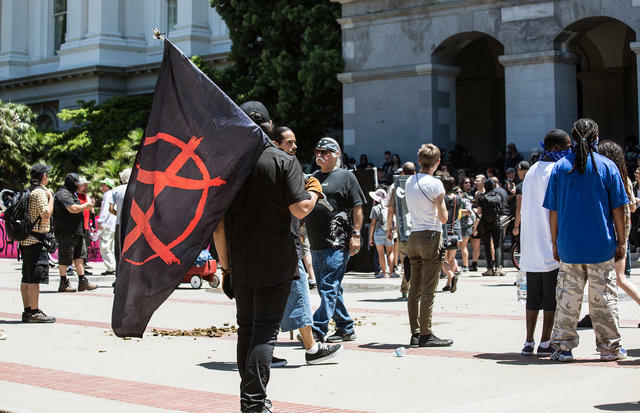 A neo-Nazi rally in the state capitol descended into violence in June, 2016. Eight antifa radicals were stabbed at a Neo-Nazi rally in Sacramento two years ago. Law enforcement failed to charge any of the attackers, but sought 500 criminal charges against antifa protesters — including all eight stabbing victims. A defense lawyer accused the authorities of letting political bias influence their decisions. 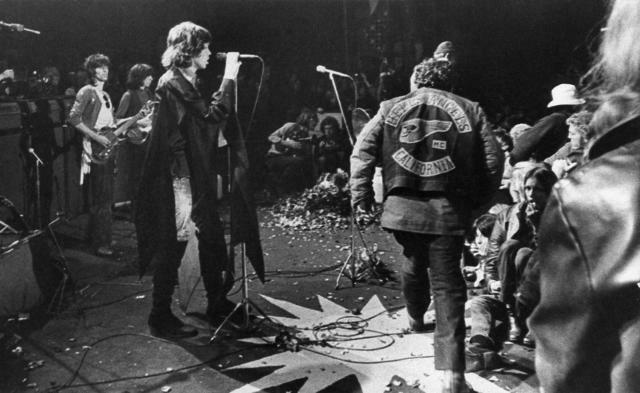 Mick Jagger sang as Hells Angels joined a melee at the Altamont festival in on Dec. 6, 1969. The Altamont Speedway Free Festival was supposed to be the Woodstock of the West. Instead, it became one of the more notorious days in rock history. It was on this day in 1969 that the Bay Area concert headlined by the Rolling Stones descended into chaos as Hells Angels beat dozens of concertgoers and, in one case, stabbed a teenager to death within 20 feet of the stage. Altamont became a shorthand for the hippie movement’s dark underbelly. Looking up at the inverted Christmas tree, made from thousands of tiny crystals. Depending on your point of view, the upside-down Christmas tree at San Francisco's Westfield Shopping Centre is either Instagram gold or the latest salvo in the so-called war on Christmas. Curbed likes it. 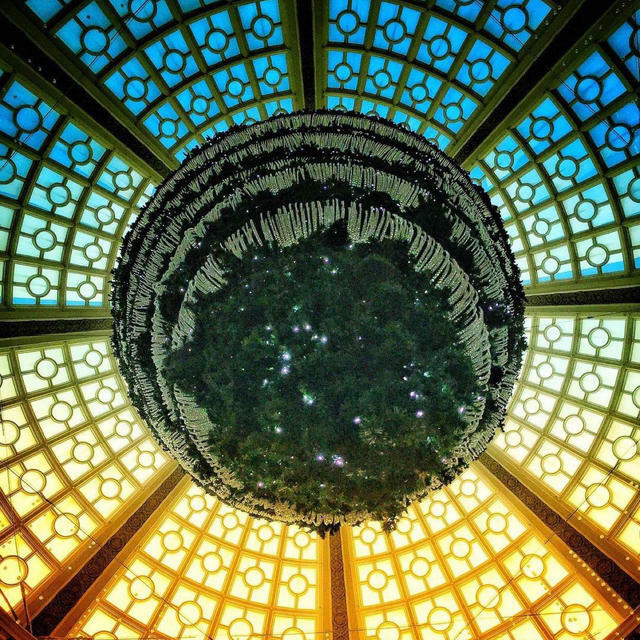 The publication included the disoriented tree in its list of the 21 best places to see holiday lights in the Bay Area. Industry is being allowed to pollute water and sky in Mexicali with worrisome consequences for its Californian sister city, Calexico. The air is often hazy and the water carried across the border via the New River is full of raw sewage. 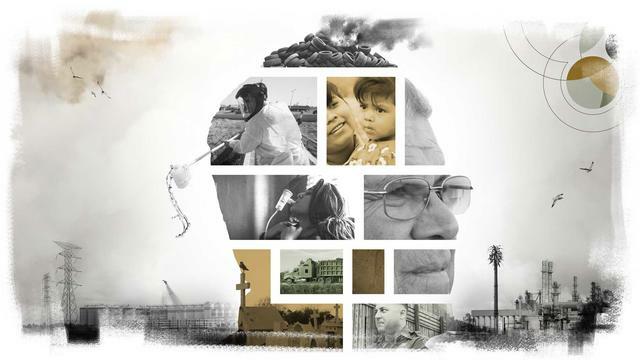 The Desert Sun published an investigative project, "Poisoned Cities, Deadly Border," on the cost being paid in illness and death. During the first Malibu City Council meeting since the community was devastated by fire, a group of enraged residents said firefighters didn't do enough to save their homes. Some vowed to ignore evacuation warnings in the event of another fire. A screengrab from the assault. This is disturbing. 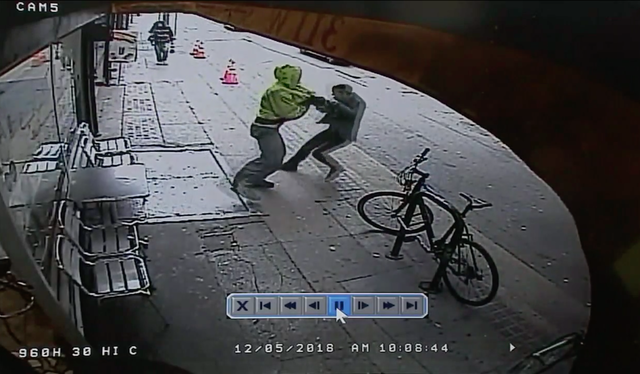 A man in Los Angeles was captured on video randomly pushing another man under an oncoming truck. A suspect is in custody. Los Angeles officials claimed for years that a retirement program that pays police and firefighters their salaries and pensions simultaneously was "cost neutral." It's not, according to a new study. Among the beneficiaries of the controversial program? The new police chief, who collected a $1.27 million payout. The soda possibilities at Galco's seem endless. 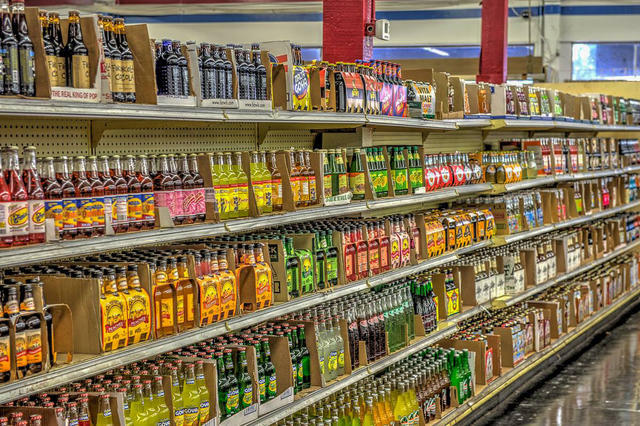 There's a shop in Los Angeles that focuses on one thing: Soda. Galco’s Old World Grocery in Highland Park started in 1897 as a small Italian grocery store. In 1998, owner John Nese — aka the "King of Pop" — rebelled against what he thought were unfair practices by Pepsi and began carrying obscure, independent soft-drink brands. He now stocks more than 750 varieties, with flavors like mint julep, rhubarb, lavender, lemongrass, and dandelion. (Huell Howser once stopped by). A century ago, Los Angeles pulled one of the great all-time swindles, draining the lush Owens Valley to slake the thirst of its exploding population. That unleashed an environmental catastrophe as enormous amounts of hazardous dust was unleashed into the air. Now, an unexpected transformation is underway. See the story and pictures over at the California Sun online.